Discussion in 'Amps and Cabs' started by leighianson, May 6, 2016. I'm very happy to have a new/old amp in the stable. 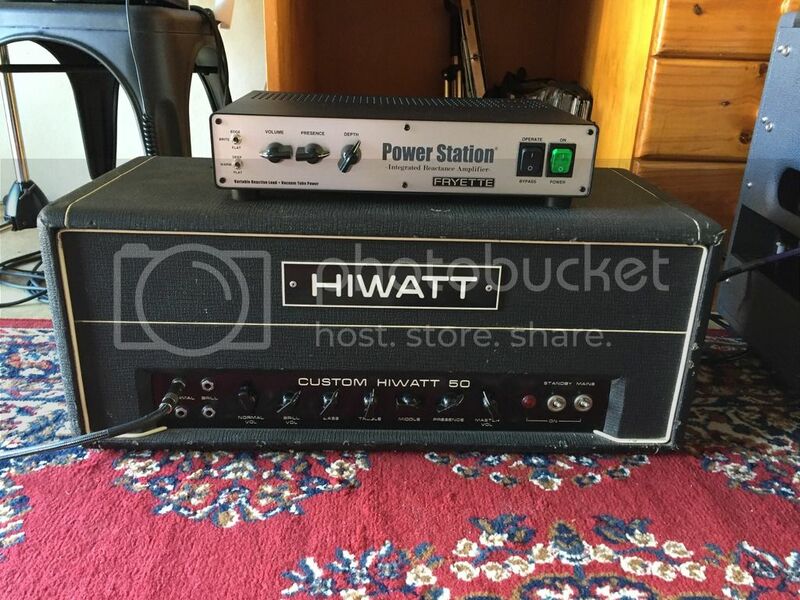 It's a 1976 Hiwatt Custom 50 and it flat out rocks! My 2 x 12 cab is being built at the moment and I'll be loading it with two new fane F70's, so I've just put it through the eminence Elsinore in my rambler and it sounds awesome already. Seems to have the right amount of bark whilst still being balanced and clear. It cleans up extremely well and the Power Station allows me to run it fairly crunchy without killing small animals. Can't wait to get my cab now and see what she can really do. HoboMan, KeLynne, QRSS and 28 others like this. Congrats! I'm slightly jealous to be honest.. Excellent! Don't forget to add it to your signature! Can you describe the tone? Congrats!! I have a 50 and a 100 and they are basically the holy grail of tone. 50w Hiwatts destroy. Such rocking amps. Congrats OP!! Nothing like a cranked Hiwatt. Looks like you have your bases covered with the Power Station as well! Sounds like it's going to be a rawkin' setup! Enjoy in good health! So I'm guessing you'll use the Power Station as a volume boost, right? HoboMan and crazyneddie like this. Enjoy... makes me miss mine.